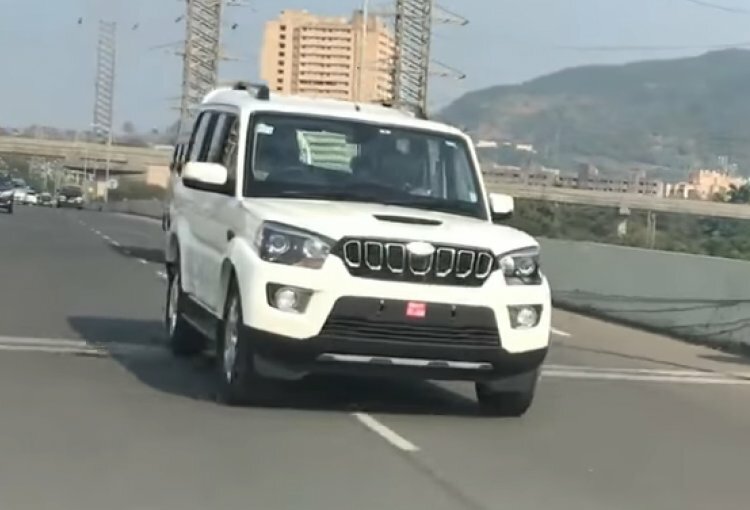 IAB reader Sheriyar Shaikh has uploaded a video of the Mahindra Scorpio facelift in action on YouTube channel TechBuzz. The video fully reveals all the changes that have been made to the exterior. The updated Scorpio will be launched on November 14. Changes made to the exterior are not very comprehensive in nature. The most notable revision comes in the form of the new 'toothed' grille. As evident from the video and previous spy pictures, the revisions made to the Scorpio's exterior are not very comprehensive. The updated nose section features a new Mahindra Imperio-like grille with chrome lined "teeth". Other changes include vertical slats for the air intake and circular fog lamp units with chrome bezels. At the back, the tailgate now has a cleaner profile with a more conventional number plate area. Red tinted tail lamp glass, ORVMs integrated with turn signals, and new 5-spoke alloy wheels round off the changes made to the exterior. 'Micro Hybrid' badging on the tailgate indicates the Mahindra Scorpio facelift will continue with engine stop/start fuel-saving technology. However, there will be no 'Intelli-Hybrid' variants this time around. In its new avatar, the Mahindra Scorpio will witness a gain in max power and torque outputs. An increment of 20 hp taking the power output to 140 hp has been confirmed via ARAI documentation. Torque is likely to go up to 330 Nm from 280 Nm currently. The 5-speed manual gearbox will make way for a 6-speed manual unit. Also on the cards is a new 6-speed automatic transmission.